Tahoe Fracture & Orthopedic Medical Clinic is pleased to offer total and partial hip replacement procedures to patients in the Reno, Nevada, area and beyond. During total hip replacements, we remove the damaged portions of the ball (the femoral head) and the socket (the acetabulum), then replace them with prosthetic materials. In contrast, during partial hip replacements (also referred to as hemiarthroplasties), we remove and replace the ball, but not the socket. In some cases, hip replacements can be performed using minimally invasive techniques. At Tahoe Fracture & Orthopedic Medical Clinic, we understand the importance of providing our patients with convenient, comprehensive care under one roof. While some providers may refer patients in need of a hip replacement to outside surgeons or physical therapists, we are a full-service orthopedic practice and our team in Reno, NV, can work together to provide you with the best care possible throughout the entire treatment process. Our specialists can diagnose the conditions listed above and let you know whether you may be a candidate for a hip replacement. Our team also includes surgeons who can perform the procedure, as well as physical and occupational therapists who can walk you through postsurgical rehabilitation. 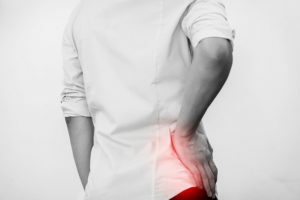 If you’ve been considering undergoing a hip replacement in the Reno, NV, area, we invite you to call Tahoe Fracture & Orthopedic Medical Clinic today so that we can provide you with more information about all the services we offer.